New Update: Team Challenge is now Up! A new feature was just released for iClan Websites. 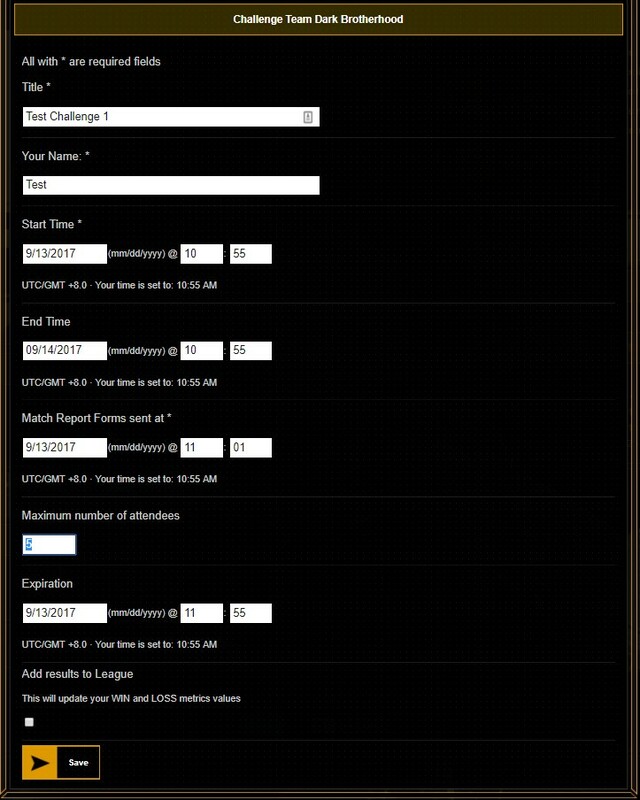 It is the Team Challenge Update, with this, you can now issue a challenge to different teams across your clan website. Some other updates for this feature will be released soon so stay tune for more. So with this update, every Team Leader can now have the access to challenge an opposing team. When you go to your website (e.g. 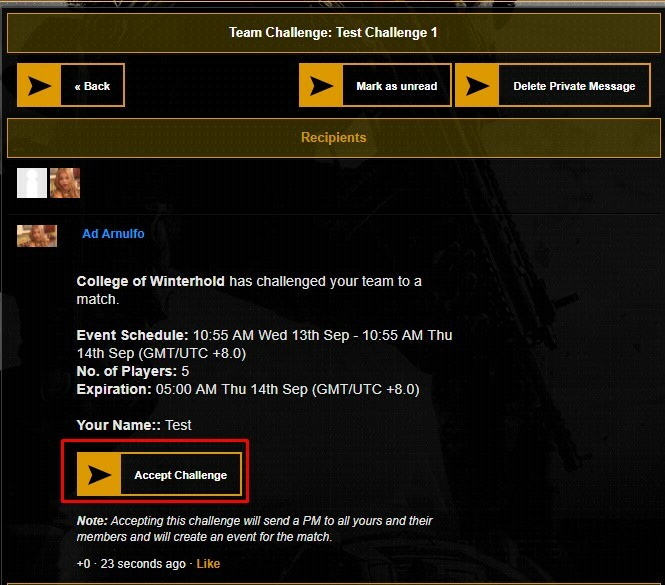 www.websitename/teams), you can now see the Challenge button from there. When you click the “Challenge Team” button, a pop up will show and you can set the configurations of the Challenge info in here. Afterwards, the opposing team should receive a notification about the Team Challenge and will have the ability to accept or reject the said challenge. Once accepted, your team will receive a notification to start the challenge process. The Team Leaders and Members should be able to receive the notification through Private Message. After the teams have been setup, you can now designate your members for each team and will have the ability to start the Team Challenge Process. 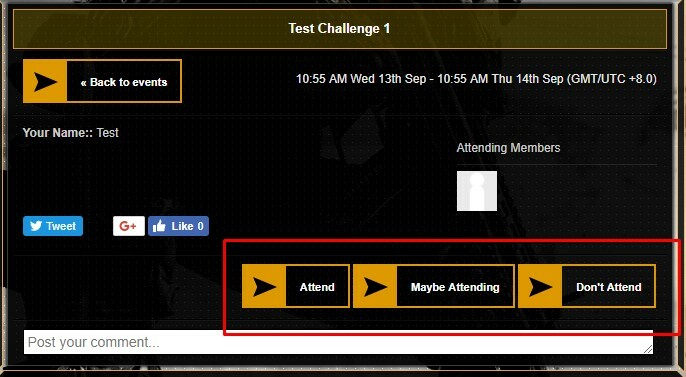 When the End Time ends, both teams should receive a notification about the Challenge and will have to fill up a form for both teams. Both reports should be equally right or if not, it will send an email to the admins for review to check if there are inconsistencies or there is a “No Show”. 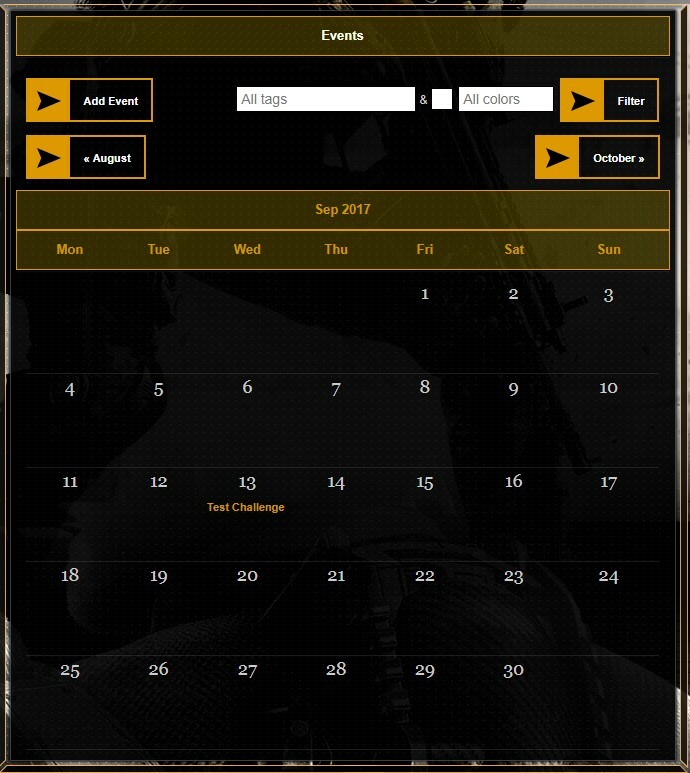 NOTE: The Event that was created through the Team Challenge should appear on the Events page on your website and on the Events Calendar. Don’t be sad, we have so much more things to add in the Team Manager to make it more useful for all types of clans out there. We will be release a new update next month again. So, stay tuned for more! Awesome...My guys will enjoy this.